The story isn’t the most original, but the film's score and cinematography, mixed with Dunstan's great directing creates a really tense atmosphere which left me biting my knuckles. 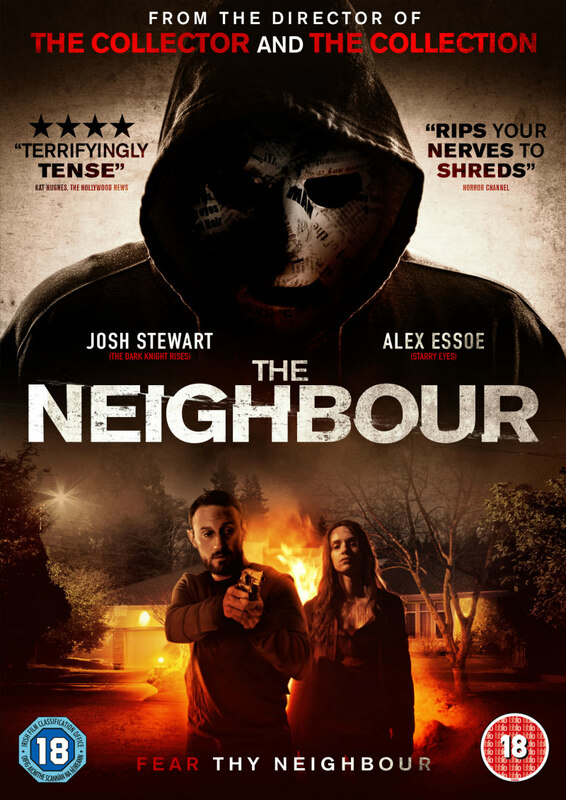 The Neighbour follows John (Josh Stewart), a man struggling to get out of his desperate life of drug trafficking for his demanding uncle. John lives with his girlfriend Rosie (Alex Essoe), who equally wants to escape the desperation of their home in Cutter, Mississippi, a small town where people go to when they don’t want to be noticed. The film is directed by horror writer and director Marcus Dunstan, who is famous for writing the Saw franchise and The Collector. John has a big deal coming up working for his Uncle’s business and reckons the money he will earn from the job is enough for him and Rosie to escape with and start a new life. The only obstacle in his way is his Uncle getting word of this; at least he thinks that this is his only hindrance. Purely out of boredom, Rosie becomes curious of their neighbour Troy (Bill Engvall). She spends her days observing the creepy neighbour through her telescope when one day she sees something she can’t get away from. When John returns home to take Rosie away, Rosie is missing. What I like about this film is that the boundaries of who is the story's antagonist are blurred. 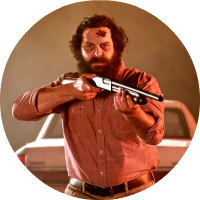 Troy, who has lost his wife and is looking after his two sons by himself, is only doing what he can to survive in the real world – he commits crime in order to get money from the rich. John, on the other hand, is also involved in crime, which is morally wrong on all levels. Both men are doing what they can to survive in the dog eat dog world; it just so happens that Troy’s plan goes terribly, terribly wrong. I like this plot because it leaves the audience questioning their morals and it’s quite different to the usual clear differences we see between protagonists and antagonists in the horror genre. The film starts off pretty great and ends fantastically also. The story isn’t the most original, but the film's score and cinematography, mixed with Dunstan's great directing creates a really tense atmosphere which left me biting my knuckles. If anything, I wouldn’t class this film wholly as a horror - more like an intense thriller with horror elements integrated throughout. Either way I like what the film is trying to do, and I think it succeeds in every way. The Neighbour is on DVD October 31st.